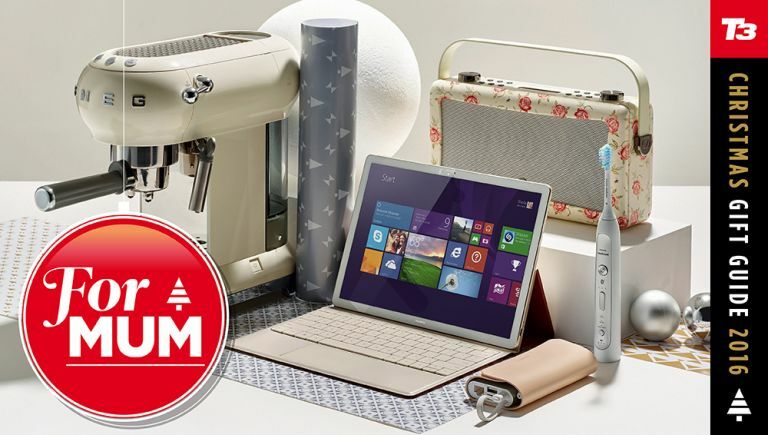 We've scored the world of tech to find the coolest and most stylish gadgets to spoil your mum with this Christmas. There's plenty to choose from, while most of them are available on the high street as well as from etailers. Nobody does retro-styled appliances better than Smeg and this coffee maker is pro-level with 15 bars of pressure, a stop flow function, milk steamer and a handy removable drip tray. Put it under the tree and it can become the focal point of your mother's kitchen. Beautiful looks and beautiful sound - the Hepburn MK II delivers top quality audio thanks to dual ultra-wide speakers. Mum can listen to DAB, DAB+ and FM bands as well as Spotify or TuneIn via Bluetooth. It has a rechargeable battery, and can charge phones. Toothbrushes are getting smarter, and this connected model has sensors in it to track how you brush. The smartphone app then points out areas that need a little extra attention to make sure all your mother's whites will be pearly as can be.